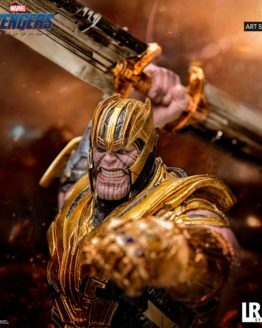 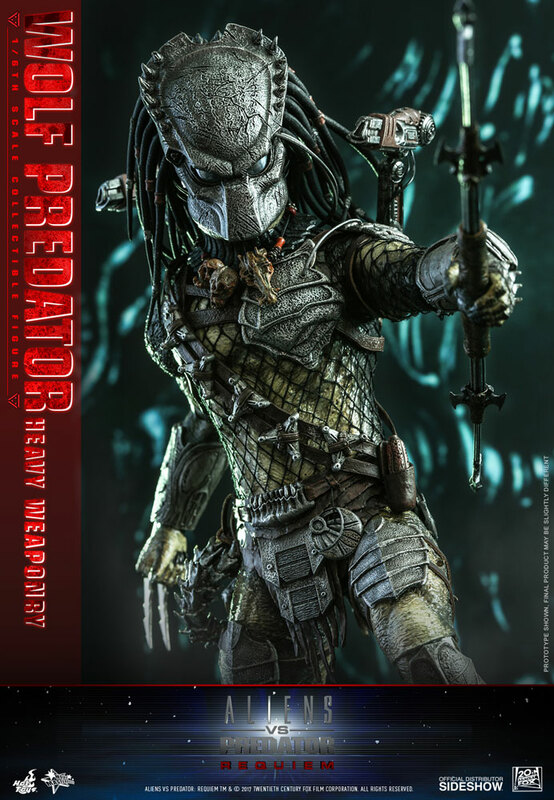 Sideshow and Hot Toys are proud to present the highly movie-accurate sixth scale Wolf Predator (Heavy Weaponry) collectible figure. 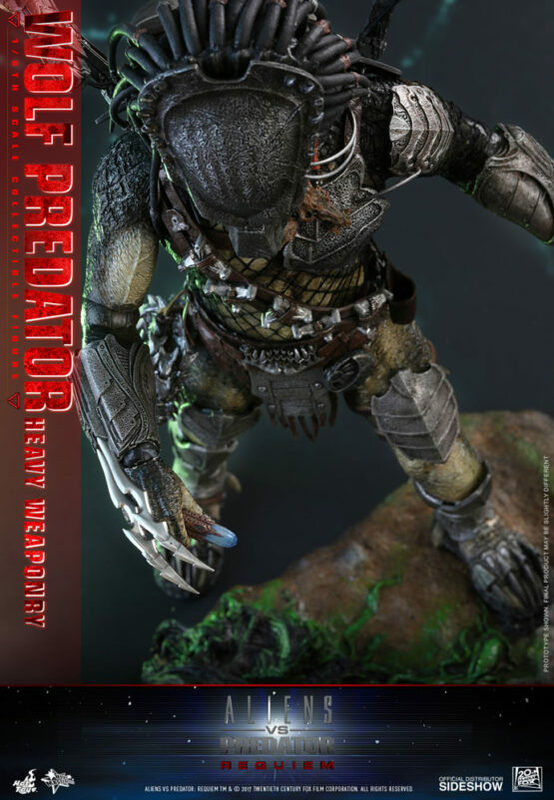 Masterly crafted based on Wolf Predator’s image in Aliens vs. 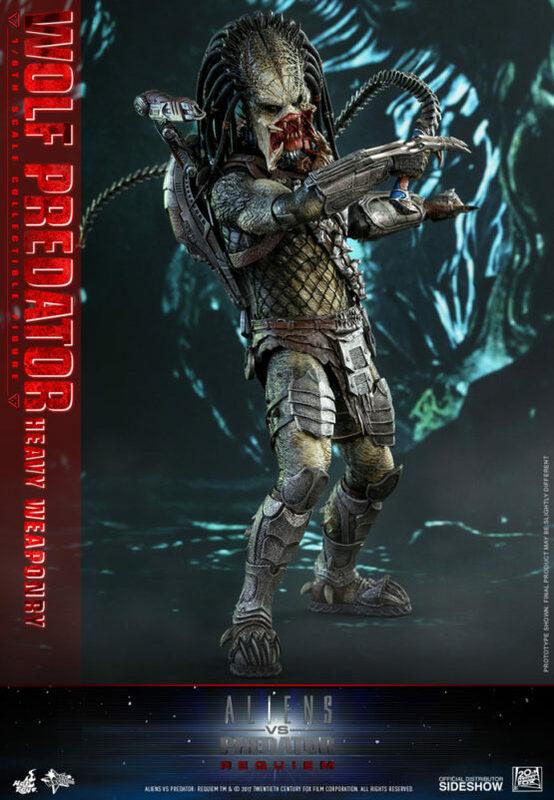 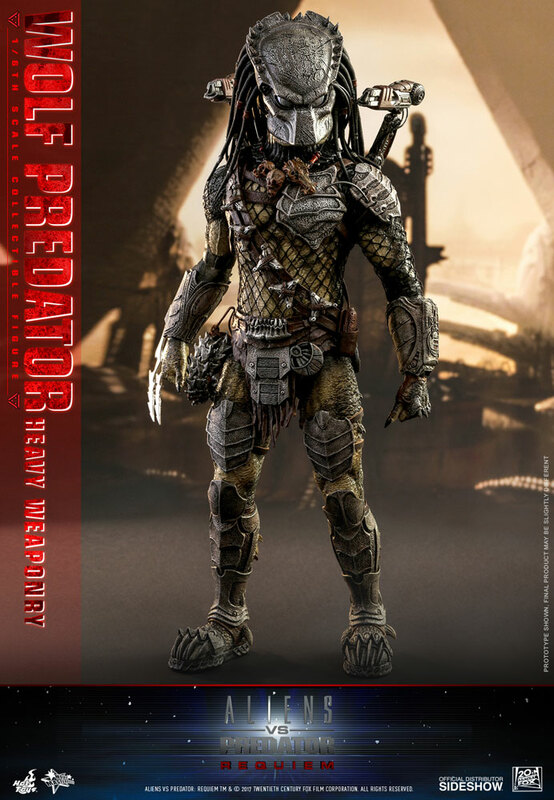 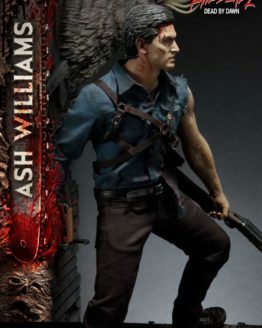 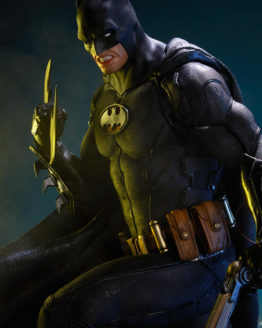 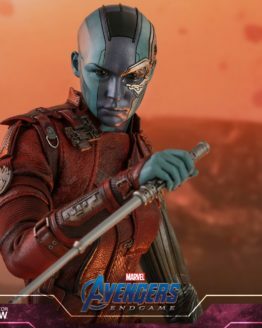 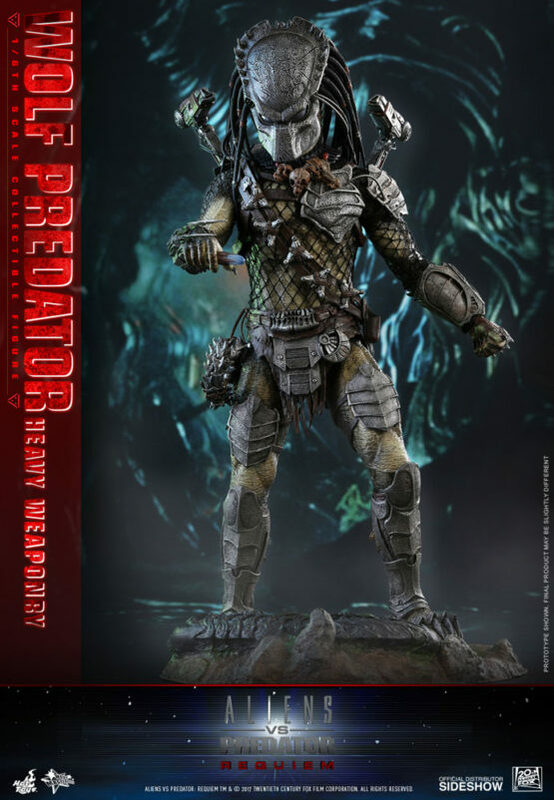 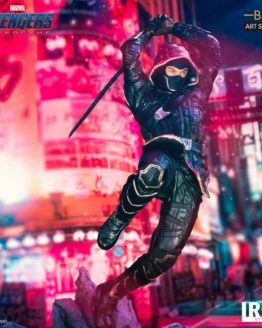 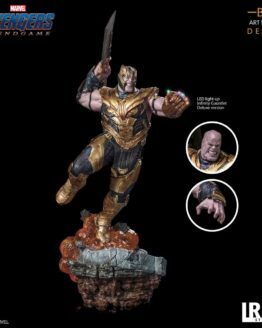 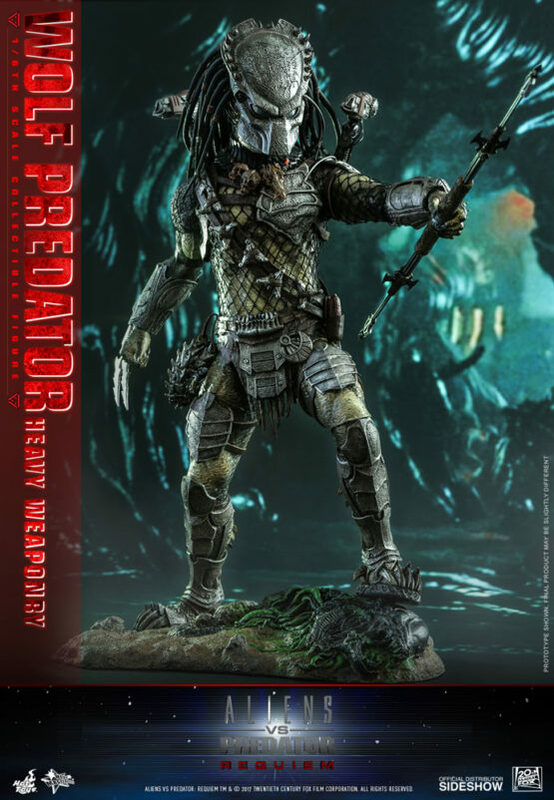 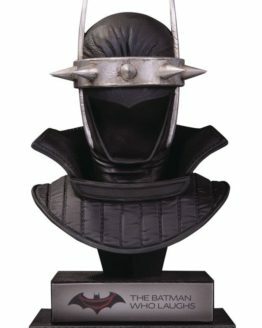 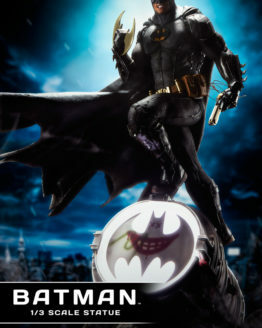 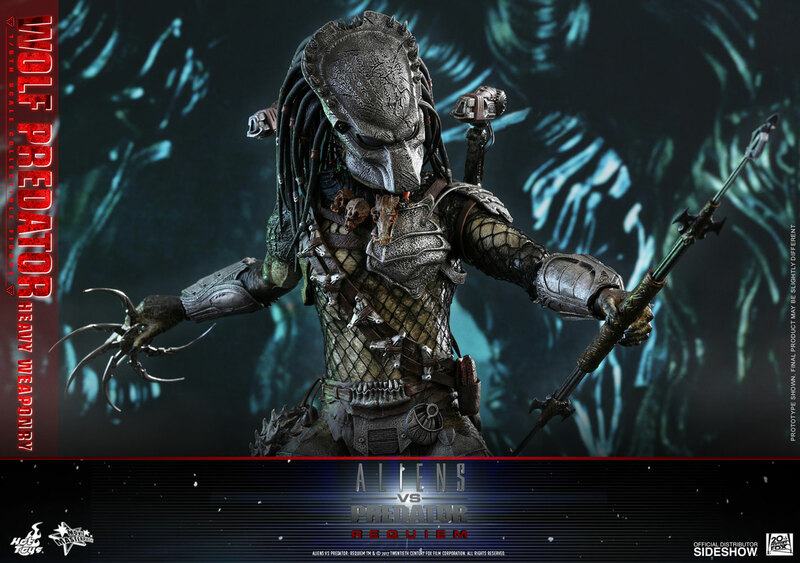 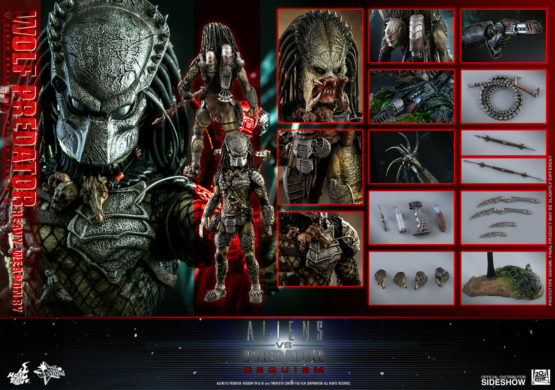 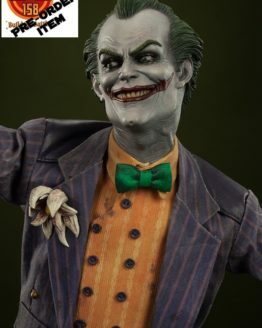 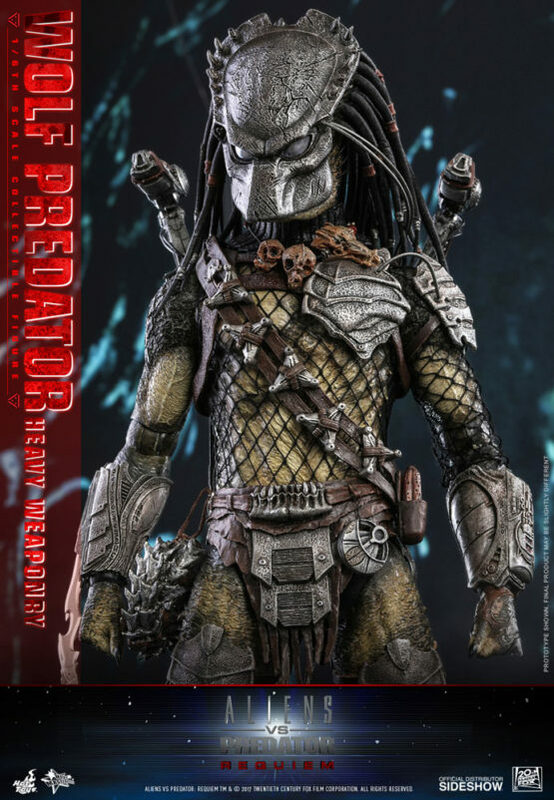 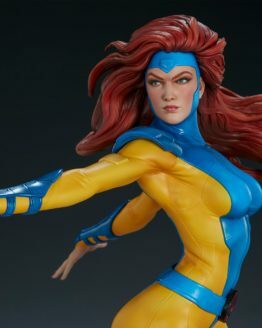 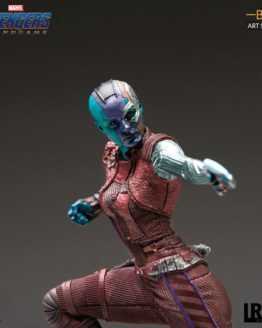 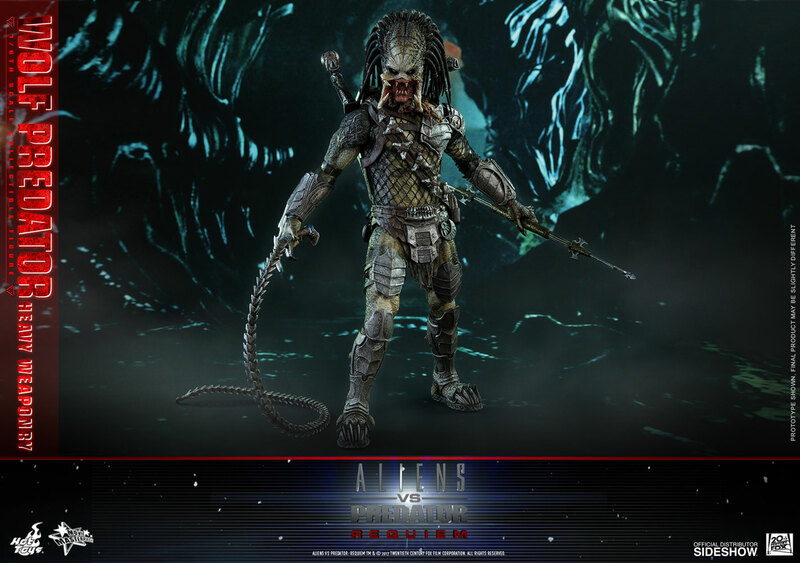 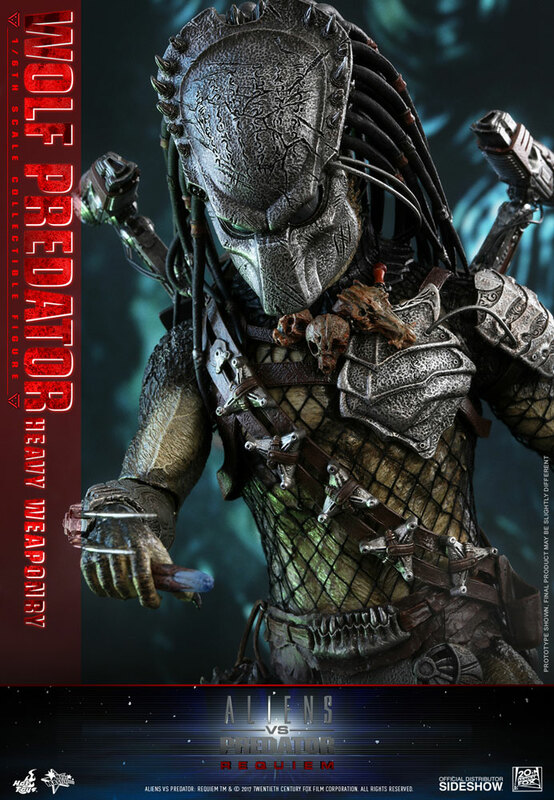 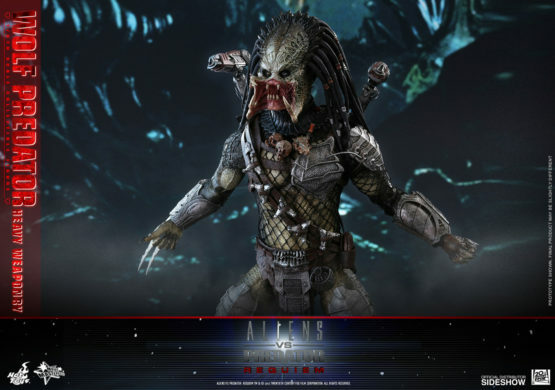 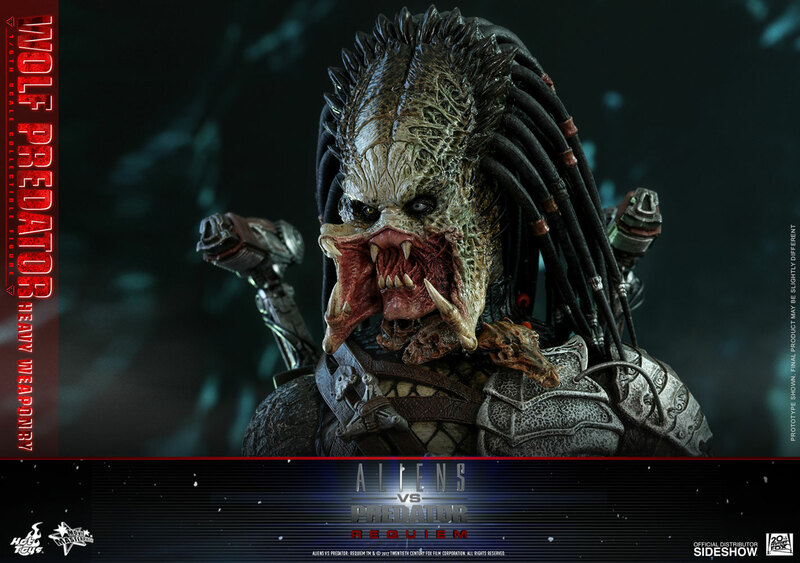 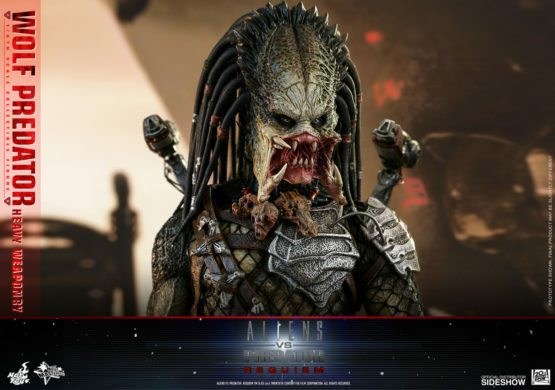 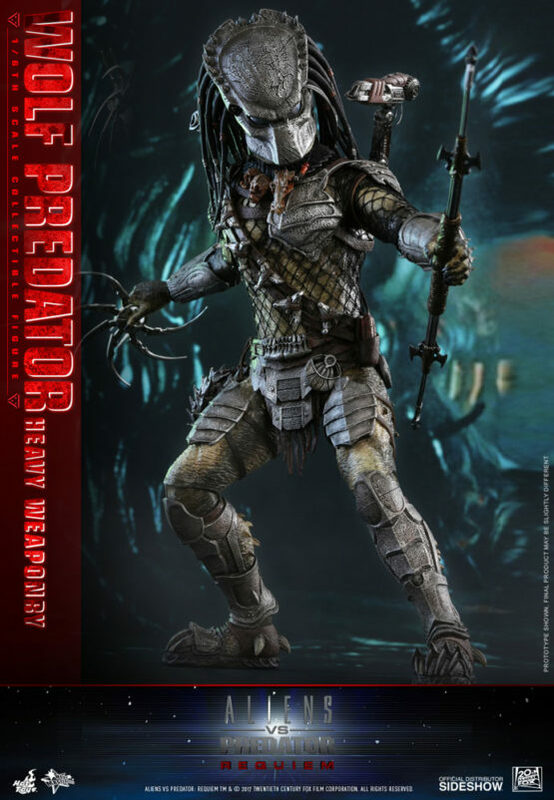 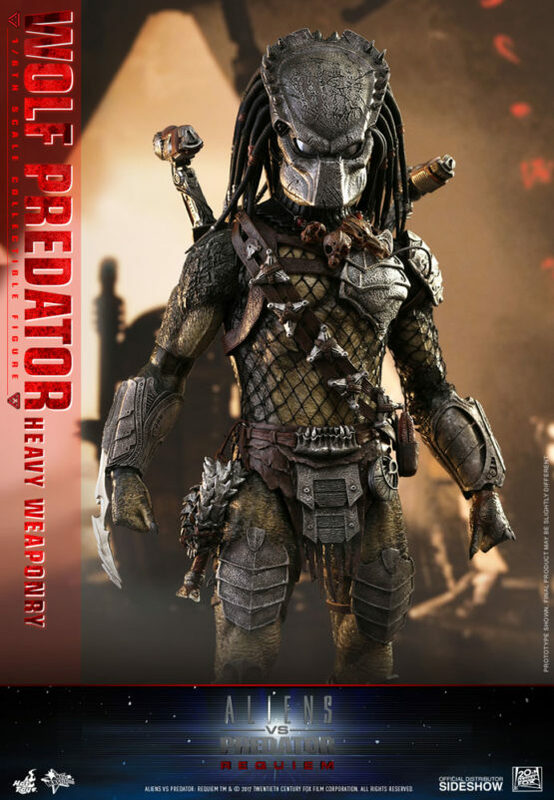 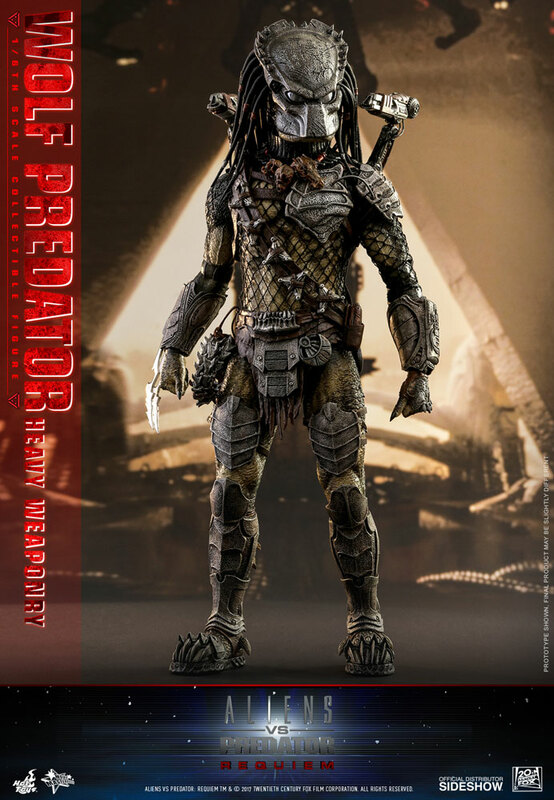 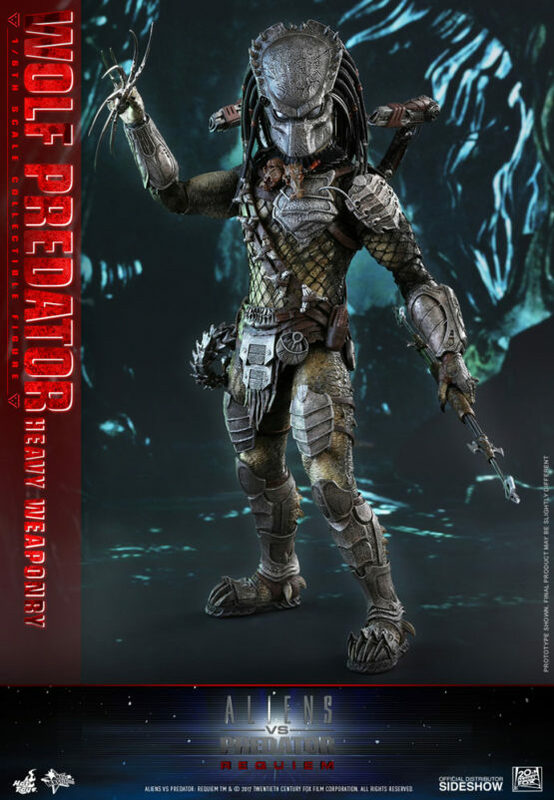 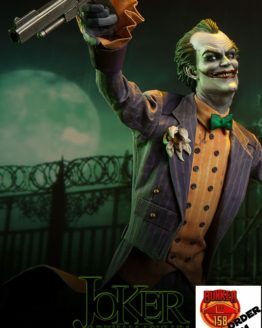 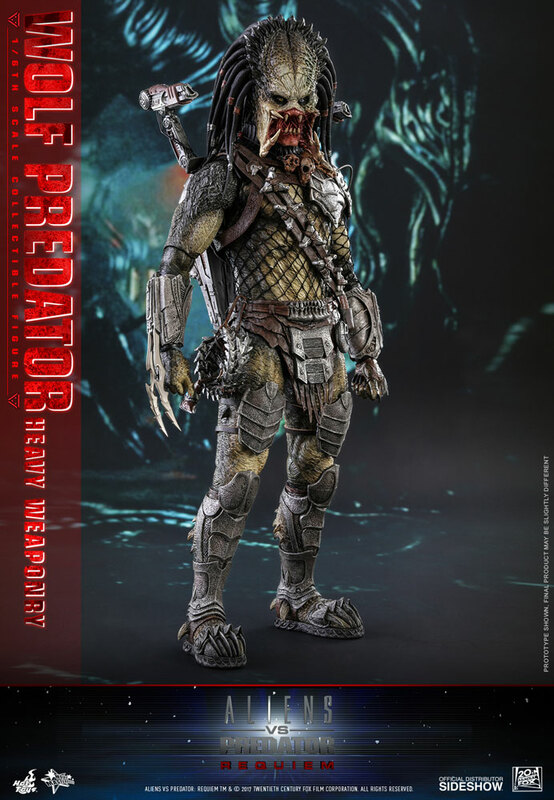 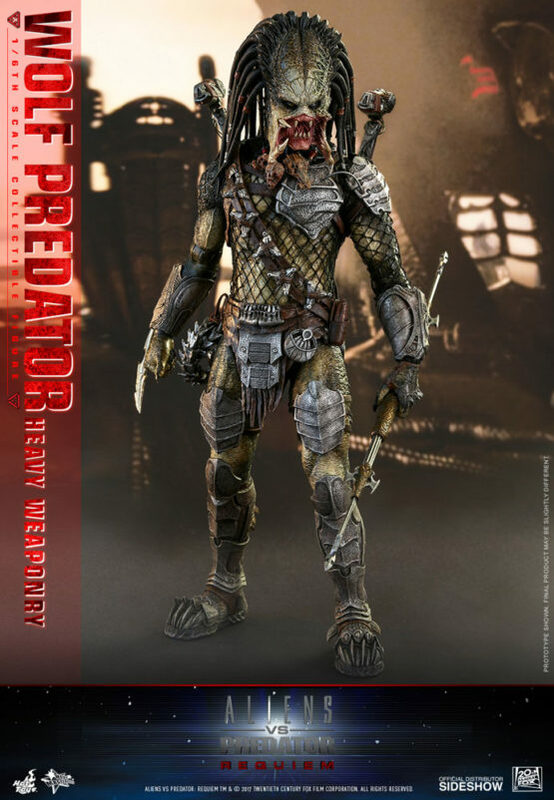 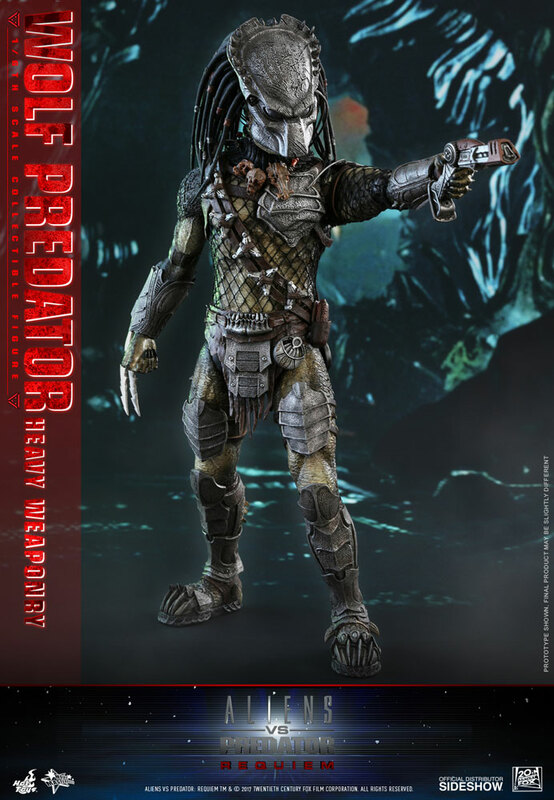 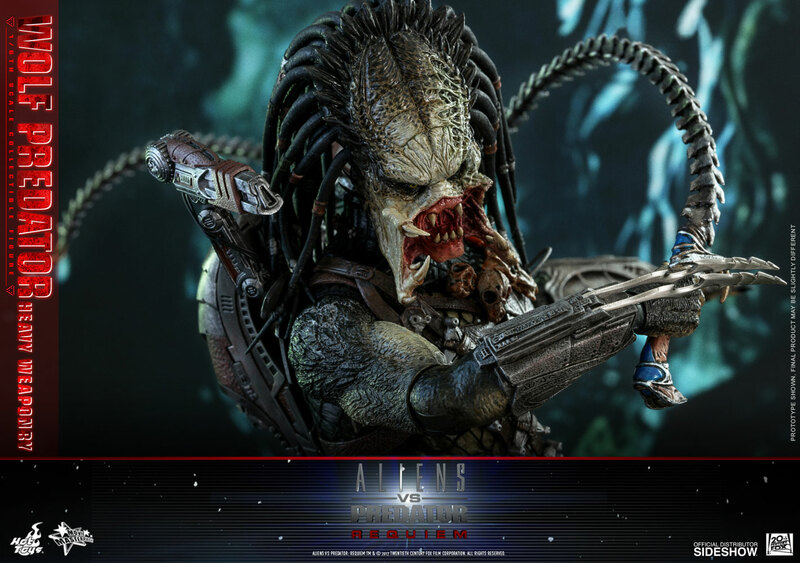 Predator: Requiem, the figure features a remarkable head sculpt, a newly developed body, highly detailed costumes, extremely wide variety of weapons and accessories and a rocky ground-like diorama figure base. 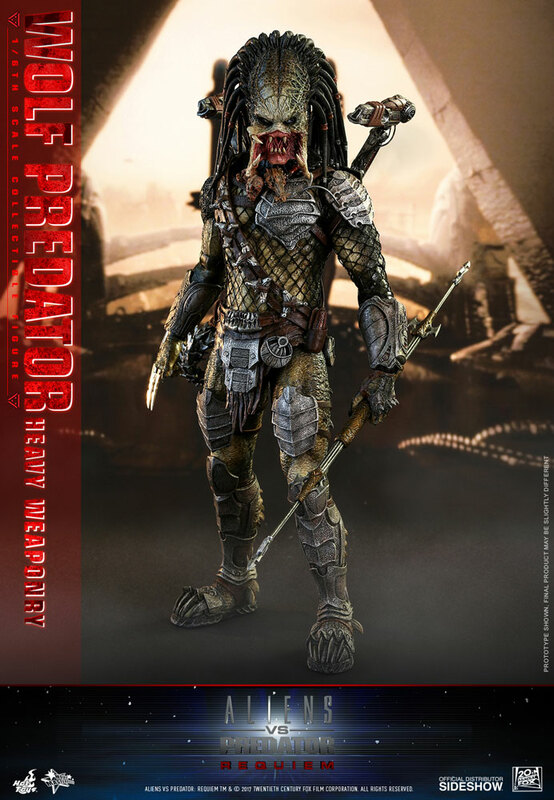 Display the sixth scale Wolf Predator (Heavy Weaponry) along with your Hot Toys’ Predator collectible figures! 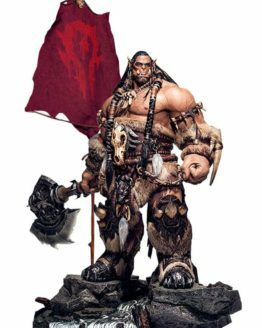 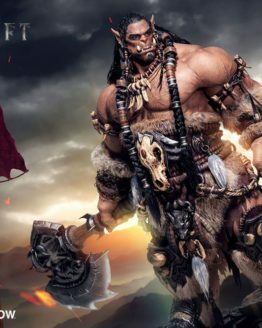 Warcraft Big Budget Premium Statue Durotan 72 cm / Sideshow – Phicen Ltd.